There's no need to have a conventional oven heat up your whole kitchen when you're baking fish for just one or two people. A countertop toaster oven gets the job done just as well, using far less energy. 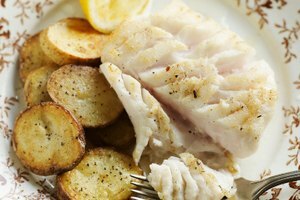 You can cook any type of fish fillet in a toaster oven, including halibut, salmon and swordfish steaks. 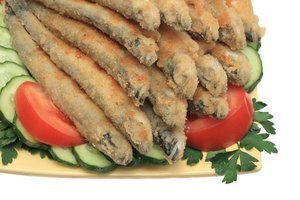 Marinate the fish fillets and bake them as is or add a little crunch with a crispy breadcrumb coating. Combine equal parts olive oil and an acidic liquid such as red-wine vinegar or lemon juice in a small mixing bowl. Add aromatics to taste such as fresh herbs, garlic and onions as well as any additional flavoring ingredients such as mustard, soy sauce, Worcestershire sauce or hot sauce. 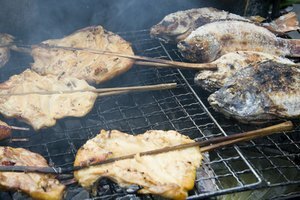 Place the fish fillet in a large resealable bag and pour the marinade over the fish. Seal and store the bag in the refrigerator for at least 30 minutes. Preheat the toaster oven to about 450 degrees Fahrenheit or the "high" setting, depending on how your toaster oven works. Line the toaster oven's baking tray with aluminum foil. Put the marinated fillets on the baking tray and place it in the toaster oven. Bake for about eight to 12 minutes until the fish is cooked through and easily flakes with a fork. 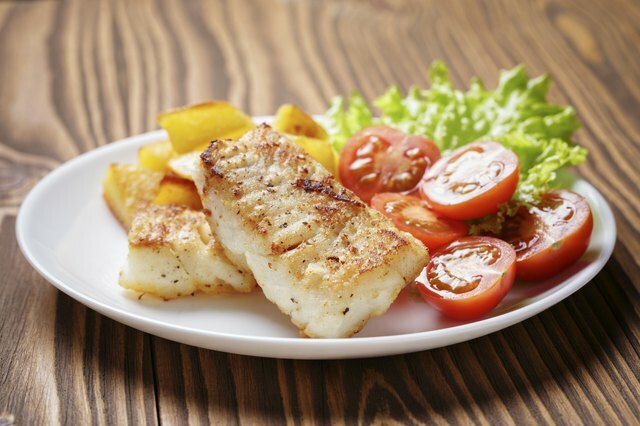 White fish such as halibut and cod should be completely opaque when fully cooked. Preheat the toaster oven to 375 degrees Fahrenheit. Season the fish fillets with salt and pepper. Dredge each fish fillet first in flour, then in egg wash and finally into the breadcrumbs. Turn the fish over in each bowl to ensure they get fully coated. Place the breaded fish fillets on the baking tray lined with aluminum foil and put it in the toaster oven. Bake for 20 to 30 minutes until the fish easily flakes with a fork. Turn the toaster to the broiler setting. Broil for about five minutes to crisp the breading. Serve hot. Used crushed nuts such as almonds instead of breadcrumbs for crunchy baked fish with a slightly nutty flavor. You can use regular breadcrumbs or Japanese panko crumbs, which tend to create a crunchier coating.